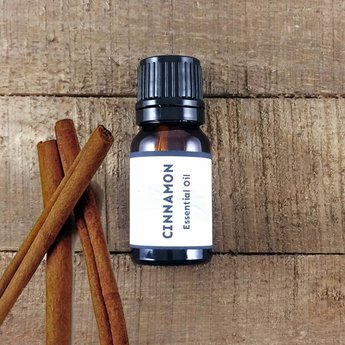 Our organic cinnamon bark (Cinnamomum burmannii) oil is a golden yellow liquid displaying a rich, aromatic-spicy bouquet with a woody-balsamic-vanillic undertone. This warming oil can be applied topically in extremely low dilution, reduce fatigue, strain to overworked bodies or pain. It is also a disinfectant can repel insects. Nasal Inhaler: You can add several drops to nasal inhaler and breath in throughout the day. You can repeat multiple times though out the day. This use is great for reducing fatigue, if trying to quit smoking or need to feel warmer on a cold damp day (for fatigue blend with sweet orange). *This oil can be irritating to the skin so use in extremely low does if using topically or in a spray. Fun facts: Only royalty could afford cinnamon in ancient Greece and Rome. Emperor Nero of Rome burned the bark at his wife’s funeral. Chinese herbalists have been writing about cinnamon since 2700 B.C. Cinnamon is the second most spice in the western world followed by pepper. Cautions: Cinnamon is highly irritating to the skin and mucous membranes. Use only in very low dilution (less than 1%).